The Prizefighter adds dramatic cut windows for the competitive shooter who wants to add a more aggressive look at their pistol. The geometric style and design of the Prizefighter gives your airsoft guns an aesthetic edge to match the enthusiasm you have for shooting. This signature slide selection is best suited for standard range and competition use. 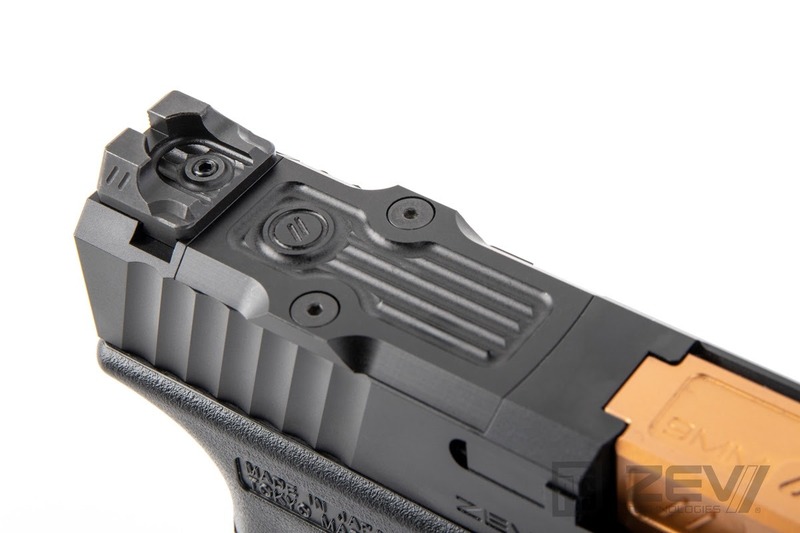 PTS Zev slides are precision machined from 6000 series aluminum and designed for the Tokyo Marui G17 platform. It may also fit WE and KJ G17s with some slight modification (please consult a professional airsoft technician for installation). There is a choice of 2 different red dot sight configurations – one for the Trijicon RMR and one for the Leupold DP-PRO). Trijicon RMR/ Leupold DP-PRO optics mount without slide modification. PTS ZEV Technologies Match Grade barrels are precision CNCed from stainless steel and finished with a high quality Titanium Nitride coating. They are available in Black, Silver, and Bronze and are threaded to be compatible with a 14mm CCW mock suppressor or BB tracer unit. 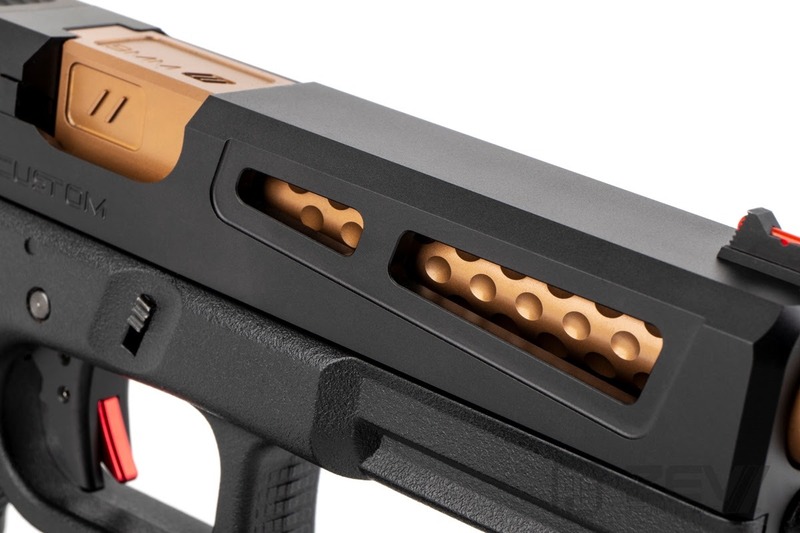 The PTS ZEV Match Grade barrels may also fit WE and KJ G17s with some slight modification (please consult a professional airsoft technician for installation). The PTS 6.00mm Nine Ball Power Barrel Set for TM G17 is the ultimate inner barrel with bucking set for your Tokyo Marui G17 or PTS G17 (Tokyo Marui style) custom builds. The set includes a precision made steel 6.00mm tightbore barrel and a Nine Ball hop-up bucking (soft type). Installing these upgrade parts will result in significant accuracy improvement, increased fps power, and consistency from shot to shot. It is available in 2 lengths: the 97mm for the standard G17 barrel and 108.5mm for threaded barrels such as those from the PTS Unity Tactical ATOM kit or the upcoming PTS ZEV G17 kits and barrels. The barrels are also compatible with other Tokyo Marui pistols that can accept the same length inner barrels.